So far, 2018 has been a positive year for 3D printing. With technological advancements across the scope of software, hardware and materials, the industry has firmly moved away from the hype of the early 2010s to provide significant breakthroughs for industrial production. With the industry currently valued at over $7 billion (according to the 2018 Wohlers Report), industrial 3D printing has not only cemented its value in product development and rapid prototyping, but is also gaining a stronger foothold in end-part production. Back in January, we made a few predictions on how 3D printing would evolve in 2018. But where are we today? We’ll be taking a look at the trends that have unfolded over the last few months. This year, the annual MIT’s Technology Review included metal 3D printing as one of the top ten breakthrough technologies of 2018. But has the technology lived up to the hype? Recent developments in technology have certainly seen metal 3D printing come into its own both as a prototyping and production method. 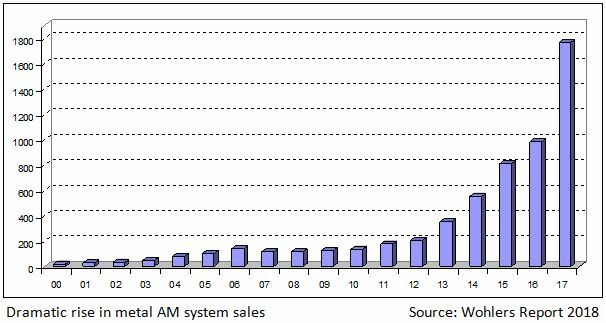 And it seems that the rate of adoption has continued on its growth trajectory, with sales of metal AM systems seeing an 80% growth last year, according to the 2018 Wohlers Report. Affordability, speed and part quality are still the main challenges facing metal additive production. However, 2018 has seen the introduction of a new class of low-end industrial metal 3D printing systems and processes. These new solutions, like Markforged’s ADAM or Digital Alloys’ Joule Printing technology, promise to make metal additive manufacturing more affordable, with an increased focus on quality and speed. Making metal 3D printing less expensive and more user-friendly will only mean more companies being able to benefit from the technology in the long run. Metal Binder Jetting technology is another area of focus, with machines being developed to deliver on the promise of high speed, low cost and scalability for production. For example, HP has recently announced plans to move into metal 3D printing with the launch of its HP Metal Jet. Interestingly, the system, which claims to be 50 times faster than other laser-based 3D printing methods, has been launched with a focus on production from the outset. GE Additive, which developed its own Binder Jetting machine last year, believes that Binder Jetting solutions are capable of disrupting existing technologies like casting in aerospace, automotive, power, and healthcare. From metals to plastics and ceramics, materials innovation is one of the fastest growing areas in additive manufacturing. Companies, both startups and global chemical companies alike, are now entering the AM space with new material offerings to meet specific application needs. This month alone, French chemical company, Arkema, has launched a commercial platform to expand its range of 3D printing materials. The range of available SLS materials, for example, has significantly expanded this year to include new types of nylon as well as PEBA-based and PEKK powders. Another exciting addition to 3D printing material palette is high-performance thermoplastics which are increasingly requested for engineering applications. While plastics still make up the largest proportion of the materials market, the use of metal materials has increased, in line with the increased adoption of metal AM technologies. The latest state of the industry report by Sculpteo has found that the use of metals has jumped from 28% in 2017 to 36% this year, again pointing to a greater adoption of metal 3D printing for production. As the demand for 3D printing grows, so too will the need for suitable, high-performance materials. However, the cost of materials continues to be a challenge for the materials sector – one that can only be overcome with more strategic partnerships to drive growth and reduce costs. Arguably, 2018 can be seen as the year in which the value of automation for AM production was finally recognised. Automation will play a key role in pushing additive manufacturing towards end-part production, helping to streamline production processes, reduce manual operations and achieve a high level of efficiency. In 2018, software has emerged as an intrinsic component in this process. For additive manufacturing to be integrated into manufacturing workflows requires a high level of connectivity between machines and the ability to coordinate these processes. Workflow automation software, like AMFG, allow companies to achieve this by automating and coordinating each stage of the additive production process, from printing orders to file preparation and post-processing control. Additionally, new solutions are being developed to further streamline the production process, from smart robotic systems to a variety of automated post-processing alternatives. For example, Lockheed Martin have recently developed AI-driven 3D printing robotics in collaboration with the US Navy to optimise the production of complex parts in remote locations. Multi-axis robots will use high-powered laser beams to deposit metals while machine learning algorithms will allow them to monitor, control and automatically adjust the parameters of the printing process – thus achieving a more streamlined production for complex metal parts. Automated post-processing solutions are also emerging to streamline some of the more time-consuming aspects of 3D printing, like support removal and surface finishing. PostProcess Technologies offers such solutions for both plastic and metal parts, with its new DECI Duo system performing support removal and surface finishing in the same unit. Alongside hardware and materials, software is the third crucial element in a successful additive manufacturing process. From design to process monitoring and post-processing, 3D printing software enables greater efficiency, reliability, and quality. Thanks to the ongoing innovation in this sphere, the range of software has significantly expanded this year. Simulation software, for example, is playing an increasingly important role in 3D printing, particularly metal 3D printing. Adopting metal 3D printing technology can be a steep learning curve for many companies, and simulating the process can help to minimise failure rates and optimise production, whilst giving engineers a better understanding and control of the process. 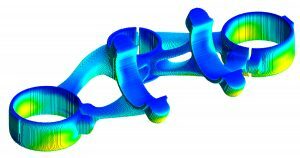 Generative design is another area that has seen impressive development in the last year, with generative design tools helping to solve complex design engineering problems. In particular, new generative design software increasingly includes AI-based algorithms to produce a wide range of design alternatives by defining key parameters such as the weight and strength of a part, material options etc. Desktop Metal’s Live Parts generative design tool is one such example, and manufacturers across sectors are experimenting with a combination of generative design and additive manufacturing to create innovative new manufacturing solutions. Intellectual property and data protection continue to be a huge talking point within the 3D printing community. 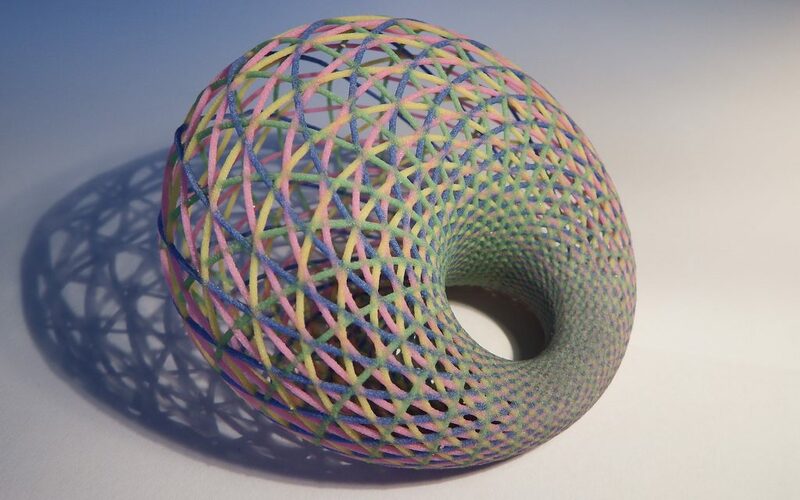 The recent surge in solutions to ensure the security of 3D designs and 3D printed products is, therefore, unsurprising. From Blockchain technology to IP protection platforms and QR encrypting methods, 2018 has seen a rise in security solutions for additive manufacturing. Danish company Create it REAL, for example, has developed a 3D printing encryption platform for FDM 3D printers, in a bid to tackle issues around copyright. Through a processing chip, the platform allows users to 3D print files without having access to the original 3D file preventing unauthorised users from modifying the original file. 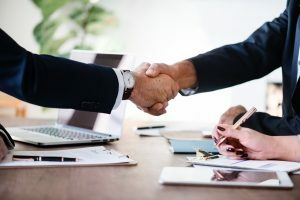 Finally, another positive trend we see gaining traction is continued collaboration between manufacturers, end users and research institutions to advance the areas of hardware, software and materials. By combining their efforts, companies can accelerate 3D printing adoption by developing optimised and easier-to-integrate system. Expanding AM expertise in this way can also help to bridge the existing AM skills gap. Through collaboration in industry and academia, new training courses and university programmes can be developed to bridge this gap. On the flip side, some of the largest companies in the industry, like Siemens, BMW, Johnson & Johnson’s and Henkel to name a few, have announced large investments into AM research and manufacturing facilities this year. In April, BMW revealed its i€10 million investment into a new Additive Manufacturing Campus which will be focused on building prototypes, serial production and customised components.Such announcements clearly signal the high interest in leverage additive technologies as a viable manufacturing method. With only a few months left to go, 2018 seems to have been another good year for the additive manufacturing community. Clear improvements in hardware, software, and materials have been and continue to be made, with more companies increasingly adopting AM technology for the production of tooling, spare and end parts. 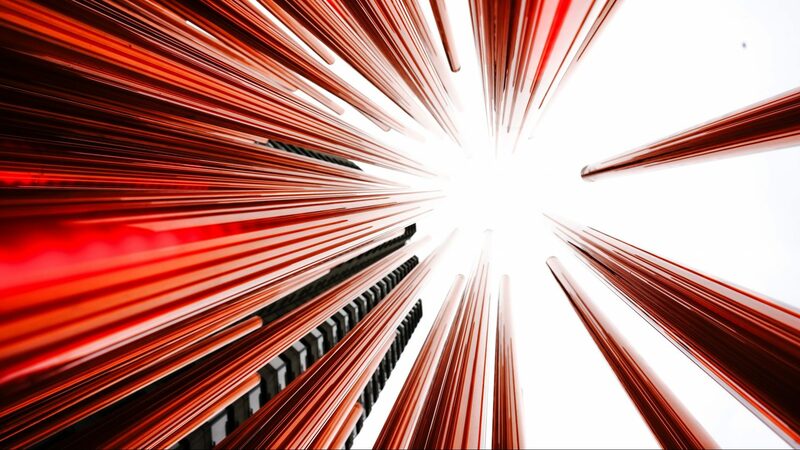 Metal AM is, unsurprisingly, a major part of this trend; and advancements in software are helping to achieve more reliable and consistent processes. Furthermore, collaborative efforts across industries continue to support much of the progress in 3D printing to help bridge the AM skills gap and foster innovation. Looking ahead, we can expect even more opportunities and breakthroughs in the coming year, particularly in the area of production and automation – which will allow the global manufacturing community to experience the true benefits of Industry 4.0.